One piece of good news is obvious: AMD's making money again, contributing to the long-term health of Intel's chief rival. After years of reporting loss after loss, AMD marked a second straight profitable quarter, standing upon the shoulders of its successful Ryzen CPUs and Vega chips. Company executives also said they plan to implement mitigations for the Spectre vulnerabilities in the upcoming Zen 2 architecture, and warned of memory shortages. The Wall Street analysts on the call were focused on what impact this would all have on AMD’s future earnings, and by extension, its stock price. But as always, it was possible to distill a few drops of information that could affect users directly. Here they are. If you’ve been following the ongoing Spectre and Meltdown saga, you know that Intel has been the vendor most affected by the two chip vulnerabilities. 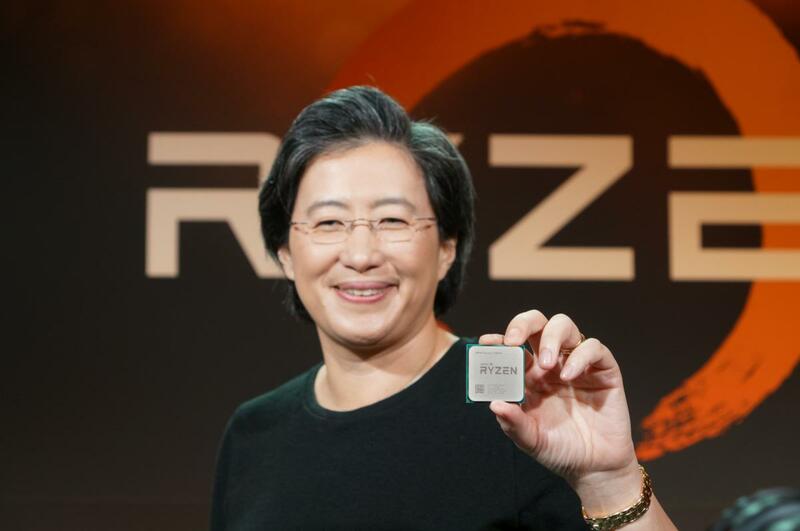 Lisa Su, AMD’s chief executive, reiterated AMD’s prior position that the company’s chips aren’t vulnerable to Meltdown, nor to some of the iterations of potential Spectre exploits. “For Spectre variant 1, we continue actively working with our ecosystem partners on mitigations, including operating system packages that have begun to roll out,” Su said. “We continue to believe that variant 2 of Spectre is difficult to exploit on AMD processors. However, we are deploying CPU microcode packages that in combination with operating system patches, provide additional mitigation steps. Put another way, it won’t be until 2019 that AMD solves its Spectre problem. Based on AMD’s extensive roadmap that the company recently revealed, the next-gen Zen 2 architecture won’t be released until next year. One point that Wall Street analysts hammered AMD executives on: What was the impact of cryptocurrencies like Bitcoin mining, and what will they be in the future? Su played coy, claiming that cryptocurrencies had about a single-digit impact to the company’s annual revenue, though it could be a little higher. Crypto, she allowed, was a great way to “get Radeon in as many applications as possible”. But is cryptocurrencies a long-term play, something that will keep GPU prices in the stratosphere? Su wouldn’t say. She also pooh-poohed the notion that AMD couldn't get enough foundry space or silicon to manufacture the company’s GPUs. “We’re working through that with our memory partners,” Su said, identifying it as a problem in 2017. Desktop CPUs—especially the lowest-cost Ryzen 3—appear to have helped drive sales during the quarter, Su said, as the Ryzen Mobile chips started to ramp up during the end of the quarter. What's especially impressive is that AMD has started selling its Epyc server chips into Microsoft’s Azure cloud and at companies like Baidu. That’s not going to affect the PC market, but enterprise revenue is the fuel that can power a company’s long-term success. And while things can change, it appears that AMD’s train is under full steam. Though exactly how much money AMD made won’t directly impact your ability to buy a graphics card, AMD’s financial viability means that Intel will continue to have competition, forcing PC prices lower. In this, AMD shone: The company reported net income of $61 million on revenue of $1.48 billion, as revenue climbed 34 percent over the same quarter last year, when AMD reported a loss. AMD’s Computing and Graphics business—which includes Ryzen and Radeon sales—climbed a whopping 60 percent year-over-year. One of the biggest indicators of AMD’s confidence, however, was its earlier, massive roadmap disclosure. You don’t show your cards unless you feel you can run the table. And that’s good news for the PC market.